224 pages | 53 B/W Illus. Windpower is a modular technology, and compared to most other power plants also rather small scale. Wind turbines are installed to the distribution grid, which is called distributed generation. Ownership and revenues can be distributed as well, using the right ownership models. Several different ownership models, used in different countries, like windpower cooperatives, local limited companies, net-accounting models etc. are described. These models can be used to make windpower become community power, and/or consumer owned power, and produce power for these owners at cost price. To wait for the international community to agree on international treaties to create a renewable energy system, takes too long. The climate disaster will inevitably happen. To speed up the transition to a renewable energy system, development has to come from below, from local communities, which can initiate and invest in windpower and other renewables. At the same time to get off from the oligopolistic electric power market and produce power at cost price is a good business. 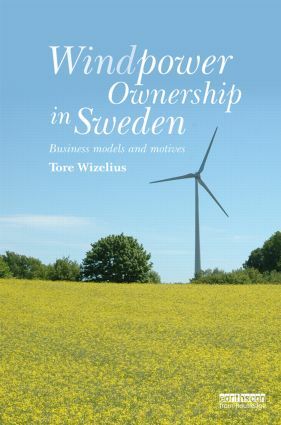 Tore Wizelius is a writer who has authored eight books on windpower. He was a lecturer on windpower at Gotland University from 1998 to 2008 and is now working as a windpower project developer in Sweden.